Hey, how cool would it be to live and teach English in Vietnam? The cost of living is cheap, the people are nice, the pay is good, and the entire country is endowed with a majestic landscape which includes some of the best beaches in the world, luscious green mountains and mystic rivers. Also, Vietnam is a country of traditional life in the villages and bustling modernity in the cities of Hanoi and Ho Chi Minh City. On top of that, Vietnam continues to have one of the fastest growing economies in the world. Our Recommendation: Get TEFL certified to teach English in Vietnam with the accredited 120-hour Let’s TEFL online course, now available with a 60% off discount! Check the course details here. It is no wonder that there are plenty of English teaching opportunities throughout the country and it’s relatively easy to find jobs in Vietnam for English speakers. Want a headstart to teaching English in Vietnam? This posts will fill you in about everything you need to know and tells you what teaching English in Vietnam is really like. Is Teaching English in Vietnam on a Tourist Visa Possible? Can You Teach in Vietnam Without a Four-Year Degree? Teach English in Hanoi or in HCMC? Start your Adventure Teaching English in Vietnam! My boss described Vietnam perfectly on my first day of work; ‘it’s organized chaos, it looks like we’re doing whatever we want, but there are unwritten rules’. I just about managed to dodge the roads of suicide jockeys, make out money full of endless zeros and survive the dangerously strong coffee. I could hardly believe that such a crazy place could follow any structure at all. However, as time went on, she began to realize that these unwritten rules exist everywhere, even ones when teaching English in Vietnam. Today she is fortunate to have been given the opportunity to live in Vietnam, immerse in the culture and teach as a way to support herself. Hiking in the Vietnamese mountains of Sa Pa. Teaching English in Vietnam will be a great experience for you, too, but it doesn’t come without challenges. This post is here to share some tips with you to make your life as an aspiring ESL teacher in Vietnam much easier and comfortable. The essential qualification for teaching in Vietnam is a degree. It doesn’t matter what subject it’s in, it could be in Witchcraft and Wizardry for all your employers care, as long as you’ve got it. The second most important factor, which actually is not a qualification at all, is being a native English speaker. This is not to say that if you are a non-native English speaker with perfect English you can’t find teaching work, but unfortunately, you will find it harder than others. You should be aged from 21 to about 60 years old. There’s no strict upper age limit for teachers, but once you have passed the official retirement age you won’t be able to get hired the “regular” way. The consensus these days seems to be that you need at least a 120-hour TEFL or TESOL certificate to teach in Vietnam. This is not coming from the schools so much, but immigration, for the most part, is requiring teachers to show proof of a 120-hour TEFL course along with the other documents before they will process your visa. There are a couple of reputable companies that strictly request these qualifications, such as ILA Vietnam and British Council, but there’s much more competition to secure these jobs. A great option to start teaching in Vietnam is to take a 4-week TEFL class in Ho Chi Minh City. The course is 120 hours and includes an observed teaching practicum to prepare you for your first job. Check the course details here and get 10% off the tuition fee when you enroll through this link. Of if you want to pass the TEFL certification at home on your own pace, check the accredited Let’s TEFL online course including job placement service. Be between 21 and 60 years old. Please note, that the Vietnamese immigration office will require originals or notarized copies of all your documents. Before you sign a work contract, hash out with your school, whether they will support you in the process and which costs will be reimbursed. You can find more detailed instructions about the Vietnam visa application process here. It’s up to you whether you want to prepare everything at home and apply for a business visa on arrival, or come to Vietnam as a tourist, bring all your documents to Vietnam, find a TEFL job and apply for a business visa from there. After approval of your business visa, you can simply re-enter the country on your new visa. Many, if not the majority of English teachers in Vietnam choose the latter option. Keep in mind that acquiring your work permit regularly can take up to six months, during which you won’t earn a single dollar! I’ll cover that later, but to be clear: I would advise having at least $3,000 to $5,000 to cover your expenses until you receive your first paycheck! To prolong your 90-day tourist visa or convert it into a business visa, you must do a visa run, leave and re-enter Vietnam. Depending on how frugal you are, the whole process can cost about $250 with flights to, e.g. Bangkok, overnight accommodation and the actual visa itself. You will never miss the train when you reside in this Hanoian neighborhood. Though technically illegal, many EFL teachers decide to take the unofficial route and work in Vietnam under the table. Some language centers even will not provide you with a work permit. It’s up to you to decide, if you can handle, do your job and enjoy life under that kind of uncertainty. You will have to do a visa run every three months, which may eat up a pretty amount of your savings. On the bright side, it’s an excellent excuse to travel. Yes, you can teach there without a degree, but you will have a harder time finding work and you will be locked out of many of the higher paying jobs. It will also be immensely harder if not impossible to get a proper work visa without a degree. You can take the tourist visa route and do regular visa runs, with all the mentioned downsides. Teaching jobs in Vietnam are frequently advertised on Facebook groups such as Hanoi Massive and Expats in Ho Chi Minh City (Saigon). If you introduce yourself as an available teacher on one of these groups, then you’re likely to get at least three responses from schools by the end of the day. There are also a few websites devoted to job hunting including The New Hanoian and Vietnam Works, and a large number of TEFL job boards. Although teachers are in high demand and finding work is easy, finding reliable employers is not quite as simple. Most people I know have had fantastic experiences teaching Vietnam, but there is also a healthy supply of stories from nightmare jobs. I recommend researching companies online, speaking to other teachers who work there and taking your time to test-drive employment before signing a contract. What I would do is apply for jobs from your home country and have some interviews lined up for the first couple of weeks that you arrive in the country. Unless it seems like a really good gig, you might not want to take the first job thrown your way. Teaching hours vary vastly, depending on what kind of job you take. Though, it’s worth remembering that you will often spend a considerable amount of time planning your lessons outside of classroom hours. There is a broad range of ages available to teach, but adult classes are a little harder to come by. Class sizes can be anywhere between 5 and 40 students, and classrooms usually have plenty of facilities, such as touch-screen boards, games, and books. You will also have a Vietnamese teaching assistant to help you with almost all your lessons. I have found the students here are incredibly energetic, loving and competitive. They have a great sense of humor but take a little prompting to think creatively. There will be days when they can’t keep focus, but this is usually because the students are worked very hard here, with hours of homework and extra classes after school. The main down-side of teaching English in Vietnam is that communication and organization are not great. In fact, it’s pretty horrendous. You will often be sent lesson plans the night before, or not at all, and your schedule can change without any notice. Each year millions of tourists visit the world famous Ha Long Bay, Vietnam’s “beauty trap”. Rates vary depending on where you work and what you teach. The average salary for teachers in large cities like Hanoi or HCMC is $20 per hour, though payment can be less in smaller towns. A private school may pay a bit more, and if you teach a specialized subject, like Math or Science (English), then you can earn up to $25. Salaries are even higher for university teachers, but you will be expected to have more qualifications and experience. Some schools will offer a monthly salary, rather than a rate per hour. Whether this is worth your while is purely down to the school and how much they choose to use you. In general, for an English teacher in Vietnam, the salary is $1,000-$2,000 per month which leads to an extremely comfortable lifestyle in Vietnam. It is possible to eat out regularly, take weekends away and save a significant amount of money on this salary. If you are just starting off and teaching at a typical language school, you can probably expect to earn a salary of $1,000 per month. It might just take a little more networking and experience to get better-paying positions. Also, keep in mind that there are plenty of private teaching gigs available on the side that pay anywhere from $10 to $20 per hour. You could also teach English online a few extra hours per week to subsidize your income or do other non-teaching online work. As mentioned, there are two urban areas in Vietnam that truly stand out: Hanoi and Ho Chi Minh City (HCMC). The TEFL job markets of both cities are similar; teaching job opportunities for English speakers abound. But each city has its own appeal, charm, and allure; which one you should choose to teach English is very much dependent on what type of person you are! Whichever city you decide upon, you will probably have a wonderful time. Despite having a smaller population than Ho Chi Minh City, Hanoi is Vietnam’s official capital. It is also the undisputed historical and cultural capital. Hanoi’s low-rise buildings hide enchanting mysteries, its museums hold secrets of ages past, and its labyrinths of alleyways are full of surprising twists and rewarding turns. Hanoi is more likely to divide visitors than its southern neighbor – it’s one of those cities that people either love or hate because it has more character than Ho Chi Minh City. In Hanoi, French cuisine, Soviet architecture and Confucian philosophy blend into a melting pot of magical madness. Whereas Ho Chi Minh City is defined by its river-bend, Hanoi is built around dozens of lakes, the largest of which is the gigantic “West Lake”; a loop of which makes for one of the most remarkable drives in the country. These lakes create oases of calm in an otherwise busy city. If you want a more traditional experience of bustling markets, roadside beers, street vendors, and charm – Hanoi is the city for you. Ho Chi Minh City, also known as Saigon, is Vietnam’s largest city. It is a modern metropolis filled with high rises and stunning skyscrapers. Its unique skyline is quickly becoming one of the most recognizable in South East Asia. Though you’d be mistaken if you thought that there wasn’t still plenty of traditional life thriving on the ground level. The unique skyline of Ho Chi Minh City is one of the fastest-growing in South East Asia. That said, HCMC is undeniably more “westernized” than Hanoi. What it lacks in traditional charm, it makes up for with modern comforts. Whether it’s cuisine, comfort, or community, you won’t be left wanting in HCMC. Largely thanks to the giant ex-pat community! Its thriving and diverse job market brings a real international scene who flock from far and wide for its burgeoning millennial industries. Situated in the far south of the country, HCMC does not experience Hanoi’s winter; the weather (which can be a little too hot for some) stays warm all year round. Where Hanoi is close to snow-capped mountains and the azure Halong Bay, HCMC is close to the Mekong Delta, Phu Quoc Island, and water sports havens. You’ll find more information about TEFL courses in Ho Chi Minh City here. Compared to back home, the cost of living is significantly lower. Even though you won’t be earning a huge salary, many teachers can live comfortably and save anywhere from $500 to $1,000per month. It just depends on your lifestyle, eating and drinking habits and being able to work a side gig into your schedule. Best of all, you have the chance to do all that while having the experience of living in Vietnam, which is a really cool thing in itself. We all know that money is essential, and you want to have savings to be able to visit home and travel every so often, but also don’t let that get in the way of experiencing the country and traveling to different places throughout Vietnam and Southeast Asia while you are there. Below are some samples to give you a better idea of the cost of living in Vietnam. As you can see, it is fairly inexpensive to live in Vietnam. If you are making $1,500 a month, then you are doing a lot better most of the Vietnamese. However, as mentioned, I would advise having at least a couple of thousand dollars in savings when you first start teaching abroad, to bridge the time until your first payheck, for some walking around money and in case of an emergency. It’s relatively easy to find accommodation in Vietnam. Once again, Facebook groups are the best place to find apartments. A room will usually cost $250-$400 per month, as mentioned above, depending on whether you rent an apartment, house or a room in shared accommodation. Utilities are generally not included in the price but will usually be between $50-$100 per month, depending on usage. Estate agents will almost always show you things out of your price range, but it is not unusual to haggle for a lower price. You will often be required to pay one month rent as a deposit and, if you are renting short term, you may be asked to pay three months´ rent up-front. 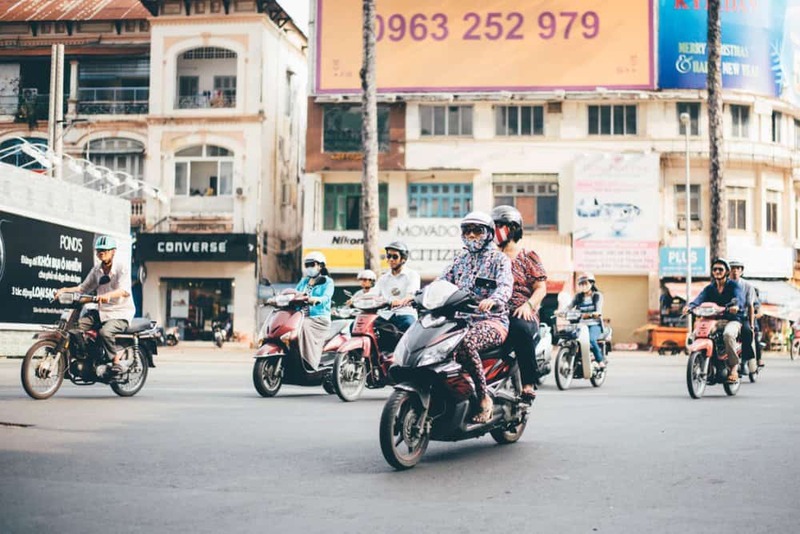 At the beginning of this article, you’ve learned there are a lot of unwritten rules in Vietnam, as well as within the teaching world itself. This post should have informed you about a few of the basics, though, as with any foreign country, the learning curve is never ending here. Vietnam is relatively new in the world of TEFL and therefore constantly changing and adapting. You have to take things as they come here and use your judgment carefully. Overall, I’d say Vietnam is not the easiest country to teach in, but it’s one of the most rewarding, fun and surprising options out there. If you are an open-minded, flexible and confident person, Vietnam is a fantastic place to teach. This is without doubt the most informative guide I have read yet. I’m fresh from my degree and CELTA course currently looking for employment. Since I don’t have that much money left after my training (£1000), can you recommend the best companies that offer “package” options for the right candidates. Or any other insight you think might help. Thanks. Great post, it’s very informative. One thing I’m a little confused about, the notarizing of the documents. Do the original need to be notarized or just the copies? thanks for leaving a comment! That’s a good question: You can have either the original certificate notarized or a copy, as long as it is issued by the TEFL course provider with an original signature. But you cannot photocopy or print the certificate at home and get it notarized, that won’t work. Working out how to apply for a working visa can be tricky. You need to bring a original copy of your university and TEFL certificate with you. Some of the embassies in Hanoi provide the notarization service but unfortunately sometimes you have to get your documents notarized in your home country. To the best of my knowledge the UK embassy in Hanoi no longer offers the service. Thankfully Apax was able to offer me clear guidelines about the process.